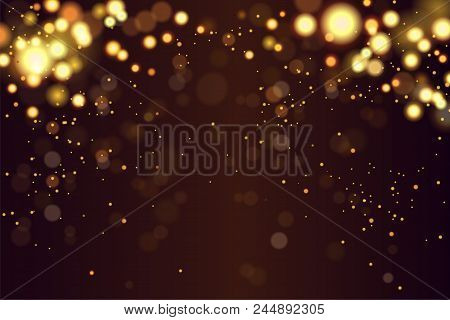 Abstract defocused circular golden luxury gold glitter bokeh lights background. Magic background. EPS 10. Holiday background. Golden explosion of confetti. Golden Christmas grainy abstract texture.